Sky+ is receiving a brand new Homepage, with a curated Top Picks section, as well as a variety of other features. The new Top Picks section supplies viewers with recommendations from entertainment channels such as Sky Atlantic and FOX, as well as box sets suggetions, sporting highlights and just released movies, depending on their subscription package. In addition to Top Picks, the Sky+ update also brings a "Download next" feature, which automatically downloads forward episodes in a box set to allow continuous, wait-free viewing, as well as a "Continue watching" tab in the Sky+ Planner that allows viewers to easily pick up a show from where they left off. Finally, the Services Homepage has also received a total redesign, a viewing progress bar added across recordings in the Planner to highlight how much of the programme has been watched, a new Radio tab added and the system's search bar relocated to the top of the Homepage. 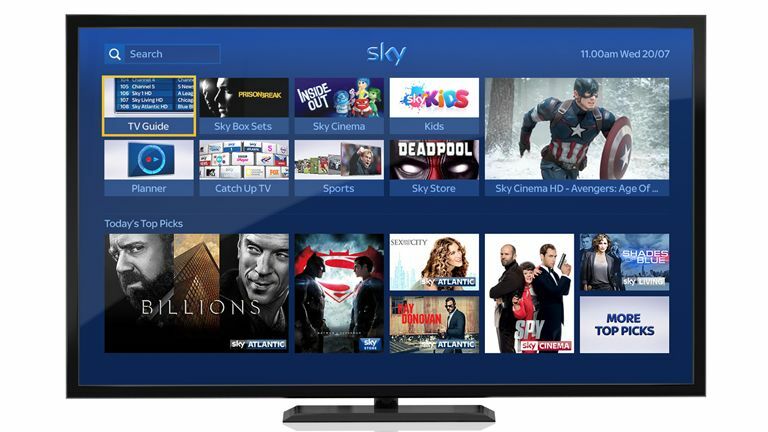 The new update is being rolled out right now, with all Sky customers set to receive the new features by the end of August 2016.